After scores of students and staff members waited at the Senate house at Wits to be addressed by the council of the University as arranged, Wits took a decision to address students electronically, saying it is due to the safety reasons as the atmosphere at the house was not safe. Though the university had not clarified whether the fee hike stays or not, it said in a statement that the Vice Chancellor Professor Adam Habib had committed to use his bonus to help academically deserving needy students. Council of the university said it would meet in November regarding the renegotiations of the fee hike. Student leaders said they felt like they were not taken seriously as the council had just used a “letter” to address them. Leaders said they were giving Habib an hour to address them or they were going to block traffic in Braamfontein. The angry students also said that they would make sure no lectures would resume on Tuesday as stated by council in the statement. Campus control joined students in the protest. As a result, angry students plan to shut down the university until the council address them personally. 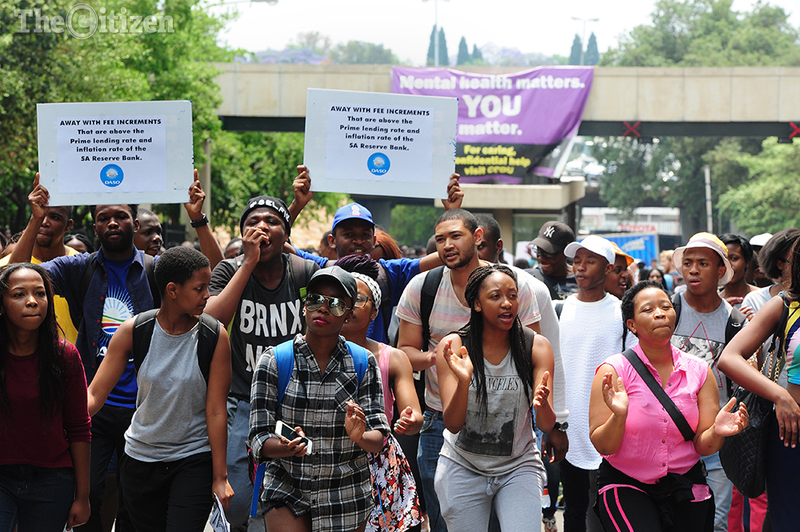 “We have been doing this peacefully but Wits had obviously taken our grievances for granted. “Because the council think they are strategic by raising fee increment during examinations, we will stand our ground and it will be their loss not ours,” said Dlamini. Students cheered Dlamini at Senate House as he was setting out a plan for the next coming days. Dlamini said the fee increment was a plan for the university to divide the rich and the poor. Students pleaded with government to intervene, “stakeholders must also intervene, we can’t sit at home with our brains, we want to kill poverty and the only way to do that is through education,” said the SRC president Shaeera Kalla.